Let’s face it: most men aren’t fully suited up for success without a sharp pocket square accessory to complete their style. 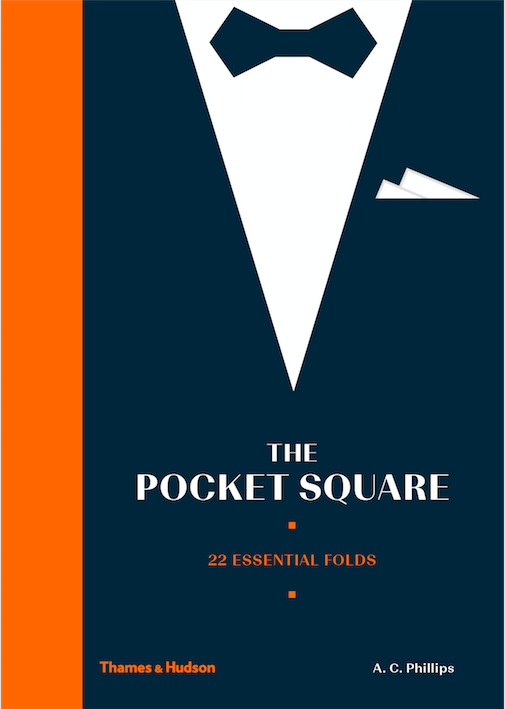 As entertaining as it is useful, the newly released tome by Thames & Hudson, (http//:www.thamesandhudsonusa.com), The Pocket Square, presents the ins and outs behind twenty-two pocket square folds, from the simple and elegant Presidential to the complex and flamboyant Bouquet. In this must-have volume for stylish men everywhere, and the women who love them, each fold is accompanied by easy-to-follow diagrams, bold color illustrations of how to wear a pocket square with panache, and descriptions and advice on when to wear each style. By A. C. Phillips, a connoisseur of gentlemen’s tailoring and pattern design, and featuring quotations from leading men whose names have become synonymous with elegance and distinction—Cary Grant, Oscar Wilde, the Duke of Windsor, Fred Astaire, and Yves Saint Laurent, The Pocket Square provides sharp style insight and inspiration. So what are you waiting for? Add it to your own style book collection today.